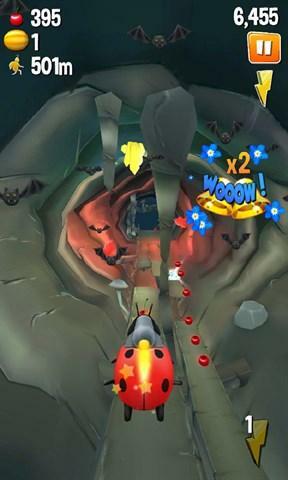 Ladybug Run is a fast-paced 3D running game with colorful in-game graphics and addictive gameplay. Tailored to entertain the whole family, the game is a real time killer for both youngsters and parents. 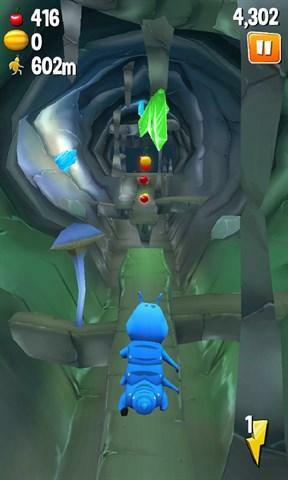 This dynamic endless runner will test your fast reactions while helping our cute bug characters survive! Collapsing bridges, wide gaps and many other unexpected dangers await you in this crazy adventure. Run, jump, dash and slide in order to stay on track and keep your turbo sprint on! Collect as many cherries and melons as possible to power your speed and run for longer. Running for your life can be pretty tough! If you get in trouble, just use your Turbo Jetpack to become faster than the light! Choose your favorite bug runner and dip into the turbo race euphoria! Features: • Cute bug characters • Splendid 3D graphics • Cool power-ups • Endless Runner • Challenging goals This app may include: - Direct links to social networking websites and/or to the Internet that can take players away from the game. - The option to make in-app purchases. The payee should always be consulted beforehand. - In-app purchases may include in-game currency, power-ups, other features and the prices are starting from 0.99 USD. - Making an in-app purchase is not required in order to play this game. - Advertising of other Zariba products and also third party products. - This application may require Internet connectivity.